Errish Meets World is fairly new in the blogging industry. 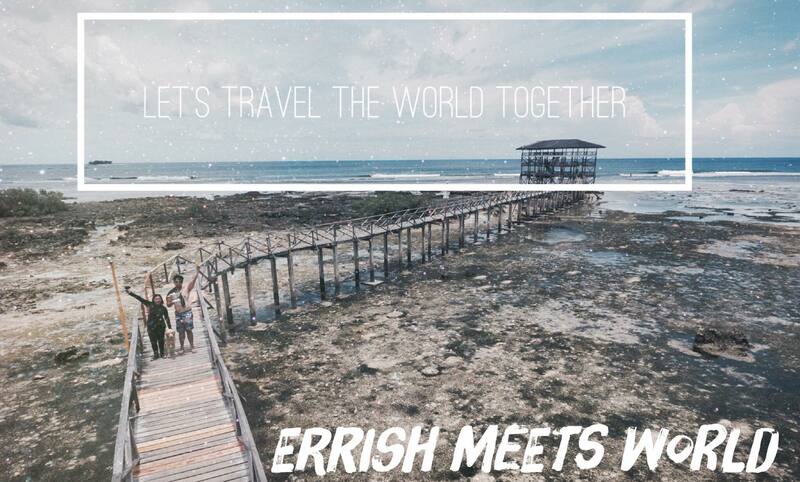 Errish, which rouse from the names of the couple Errol and Irish, started doing travel vlogs and blogs in year 2016 and are very passionate in sharing the beauty of the world. Both were bitten by the travel bug in the year 2013. Since a lot of their friends and families rely in their itineraries and recommendations on: places to go to, best way of travelling those areas, what to eat, where to stay, and what to bring, they decided to start blogging and even created a YouTube Channel. Their love for photography and videography is another reason why they want to see the world and share those exquisite places to everyone. Both are Filipinos, and are looking forward in visiting all the provinces and all the marvelous sights that Philippines posses. Sharing the wonder and their joys in traveling the world is what their social media pages are all about. So, enjoy their work, keep posted and don’t forget to subscribe in their YouTube channel.